The BBS Magazine » Blog Archive » The Name Rater: Seel & Dewgong! « Nicknames for Seel and Dewgong! Who is this bobandbill you speak of? I swear, I am most certainly not the same person as this fellow. Or fellows. Blasphemy, I say! Besides, I don’t even remember my name anymore. Woah, slow down, one at a time! You can’t just name Pokemon five at a time. It’s against the rules, and then you’ll mix them up. And let me tell you, Undine hates getting mistaken for Selkie, and Lavellan demands respect. But let’s see. Using those as a basis for nicknames is often a fine idea. It can make your Pokemon a bit too proud however, and you don’t want to encourage them too much. Selkie may be the most fitting from that bunch. Those took the form of seals when in water, and Seel sure love water over land. Names like Undine are only appropriate for the female Dewgong. Your pet Dewgong meanwhile may not like Lavellan as a name if it ever found out they’re deemed as a kind of rodent it’ll chuck a fit. At least, the one breaking through the window right now seems to have taken great offence at that. Back off, I say, back off! …Right. Where were we? Selkie good, Lavellan bad. That’s the Dewgong’s decision, not mine. Ah, Roman and Greek gods. I wish they would help me from this mess. Both are fine choices, but again I do warn to keep your Pokemon in check least they try and re-enact some acts by these gods. Unless you want to put your Poseidon in the Day Care Centre. Then it may be an entirely too appropriate a name- I SAID GET AWAY! When it comes to a female Seel/Dewgong, you can’t go wrong with names like Aurora or even Elsa, if you want your obligatory Frozen reference. Ah. You might want to keep that idea to yourself then. You see, I’m afraid Frozen is precisely why I have this angry horde of Dewgong. I am rather fond of the music from that film, and may have played the music a tad too loud, for a smidgen more hours than they liked. It seems Dewgong hate the movie. Hard to imagine why… maybe they’re upset about the lack of seals and the like in the movie? So yes, I don’t think I’ll try calling them Elsa again. Alternatively, you could name her after Lorelei/Prima/Kanna, who’s noted for using a Dewgong. Goodness, that’s a lot of names for one character. Maybe she knows how to calm down angry Dewgong, I must look up her number. While I do that I’ll say that’s a nice name, although again you must note it’s more fitting for a female Seel or Dewgong. Pryce works too as a famous Gym Leader who has a Dewgong on that note. Maybe he’s nearby? Male Seel/Dewgong could totally rock names like Berg (for/or Iceberg) or Brycen. Ah, Brycen is another ice type user indeed! And I suppose he also has a Dewgong. Berg is a nice tone to it too for a male Pokemon, I feel. Nicely done in considering the other gender as well! I think that made a few of them happy enough to go away. Or maybe they’re getting bored. I’d be okay with that too! Maybe even Bob, which apparently is one possible term for a group of seals. Bob might be a bit simple, and it’s not giving me quite the amount of rage or anger at the moment. ‘GET OUT OF THERE, BOB!’ doesn’t sound very dramatic out of context, I fear, even if it may be accurate for me right now, sadly. More gender-neutral names like Blizzard, Snow, Winter, or Icicle. I feel these names can at times be a bit too plain. These are varied enough from the stock-standard ‘Water’ or ‘Ice’ you sadly see flying around Wonder Trade these days, but I’m unsure how well Icicle fits a Dewgong personally. Blizzard as well has problems, but see below for why. Snow and Winter are fine though. If you’re not into ice references, you can also go for Aqua or Surf. I actually recommend against names identical to attacks perform-able by Pokemon. The problem is that they can get awfully confused about it. ‘Surf, use Surf!’ for example. And I’d rather not see if any of these Dewgong like the name Surf, at the risk of one of them knowing the move and deciding to perform it. My poor home is miserable and cold and wet enough without a giant wave from nowhere rampaging through it as well. Aqua also has problems as a name, but only recently. I’m sure you’ve heard all the bother Team Aqua caused in the news. And again, mass flooding is not something I want to encourage! Between you and me, ‘White Devil’ is a better and more apt name for these creatures as far as I’m concerned. No, you! Get out of my fridge! Damn it, Bob! 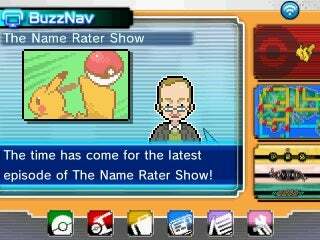 Or, if you want to believe the Pokédex (in that Seel are just really pale blue), names that have to do with the color blue, including Cerulean, Azure, or, yes, Blue. The Pokedex is colour-blind then, all I see is a white mess. Urgh, there goes the fridge door. No no, I’m sure you can take it with you. I didn’t need that. Cerulean and Azure are nice names however. Less keen on Blue. It’s too simple and common a colour name, I feel. That said, I am feeling blue about now. White Devil – because serious why are they doing this to my house!? It was just the Frozen soundtrack! I’m investing in headphones. Bessie – dugongs are also known as sea cows, and Bessie is a typical cow name. And this one liked the name enough to go away and moo at the sky or something stupid. This entry was posted on Monday, January 26th, 2015 at 8:05 am	and is filed under Name Rater. You can follow any responses to this entry through the RSS 2.0 feed. You can leave a response, or trackback from your own site. This article had me rofl(rolling on floor laughing). Dewgong is my 3rd fav pokémon of all time. I have to agree with them on frozen movie it wasn’t good. It is same quailty as the little mermaid and i suggest you avoid that sound track to with them for other reasons. I get why some ppl fell for those bad movies. It is the music but as you look back will question why you liked film as a whole. Loves dewgong and thought this was fun article to read.